My old friend Matt (from my Disneyland days) was kind enough to send me a little bottle of joy from New Glarus Brewing Company. Fat Squirrel Nut Brown Ale is a lovely English Brown Ale with a ton of hazelnut flavor and aroma. 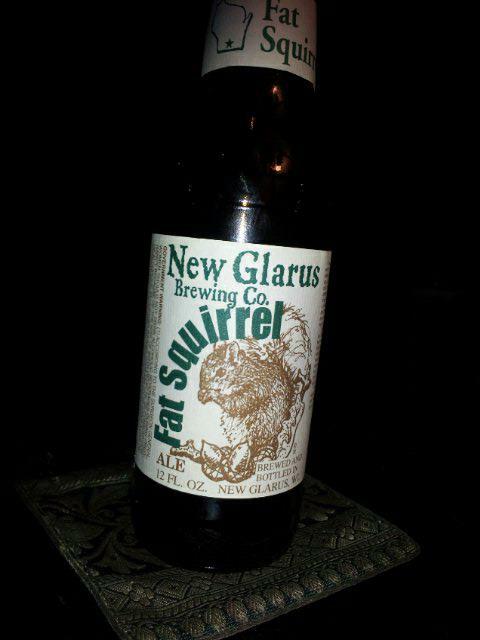 Dark brown, think, full-bodied, rich, with a touch of sweetness Fat Squirrel drinks almost like a desert. New Glarus chose hops from the Pacific Northwest, Bavaria, and Slovenia to give this beer a nice little kick. And at 5.8% ABV you can enjoy more than one without being sent over the edge. I really enjoyed this beer and was sad that there was no more to be had. New Glarus rarely distributes outside of Wisconsin so if you’re lucky enough to find one in your area, pick it up! !